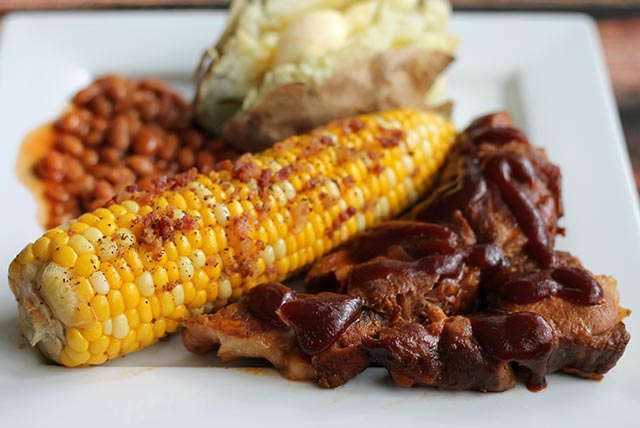 Easy Slow-Cooker Ribs, corn on the cob and baked beans—sounds like an outdoor feast, but you can make it all in your kitchen. Today. It's that easy. When you're talkin' slow-cooker pork, you know it's gonna be good. Especially when it's ribs. Add corn on the cob and baked beans and call it amazing. You've got your slow cooker going with the ribs, so we chose a baked bean casserole. 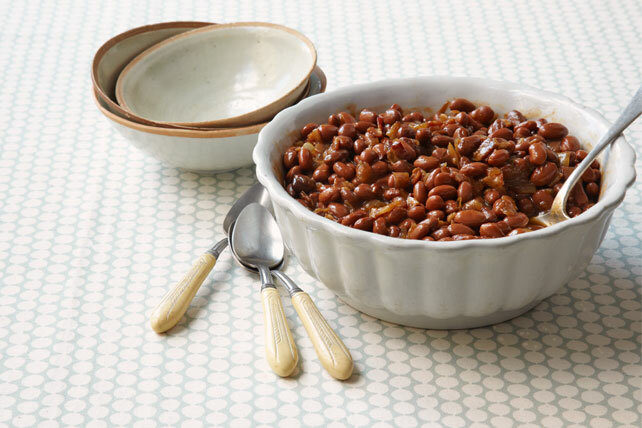 You can make Slow-Cooker "Baked" Beans if you have two slow cookers. 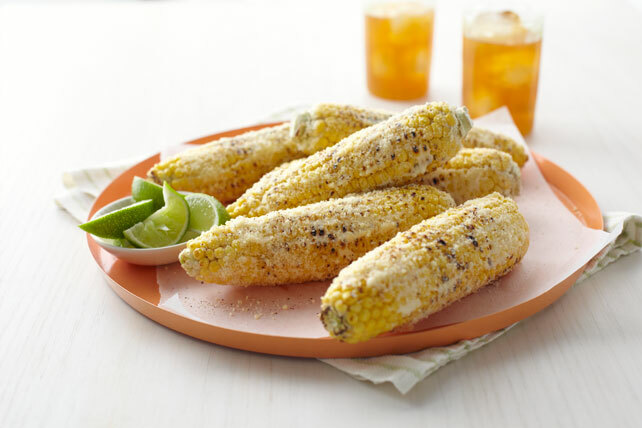 Corn on the cob screams summer and BBQ, but you can make it and dress it up anytime. Grill it in the summer: Here's a how to grill corn tutorial.